Women from the Chapel and our mother church, Holy Trinity, were blessed to spend March 11 with two nuns during a Lenten retreat on prayer and preparation for resurrection of Christ. 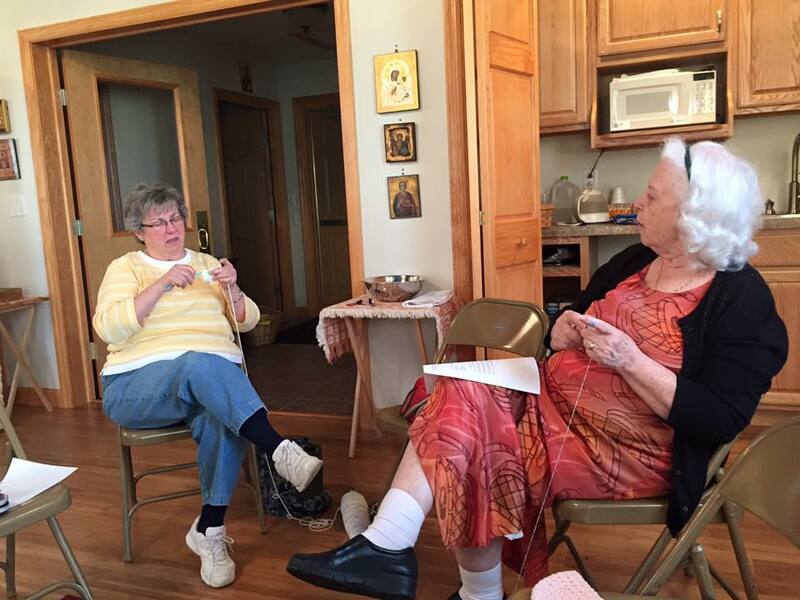 Mothers Christophora and Seraphima of the Orthodox Monastery of the Transfiguration in Ellwood City, PA spent the day leading a two-part presentation designed to guide the women on their Lenten journeys. Mother Seraphima spent the first session discussing the Bridegroom Matins of Holy Tuesday: it reminds us all to be watchful for Christ, and it is this watchfulness that leads to salvation. The session concluded with the wo-men signing together the hauntingly beautiful Hymn of Kassiani, one of the highlights of the evening service. Mother Christophora spent the second session on the life of Mother Alexandra, first abbess of the monastery, explaining how her story and that of other holy women can be applied to Christian women today. On January 29, a dozen members of the Chapel traveled to Best Bowl in Selinsgrove for a couple hours of bowling and pizza. On February 12, the first quarterly Family Fun Night event of 2017 was held at the Middlecreek Area Community Center (MACC). 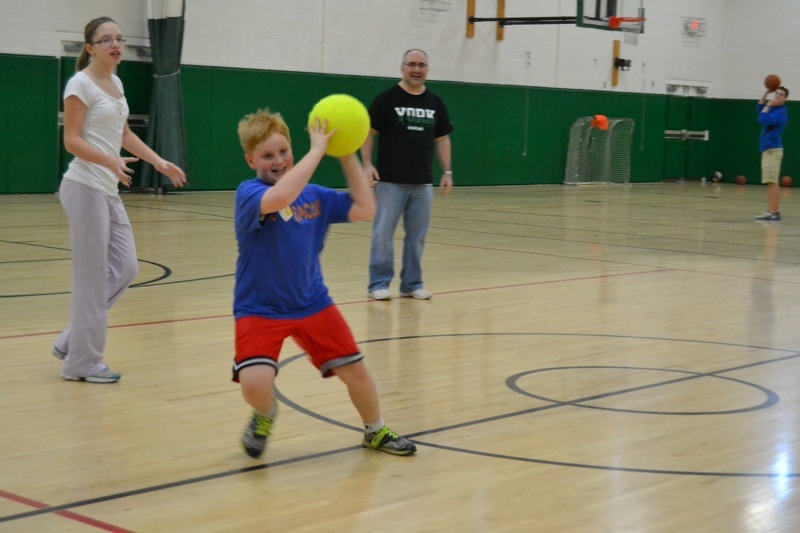 More than 30 attendees enjoyed extra hours at the popular facility, participating in a fun game of kickball and in making Valentine crafts. There was plenty of food and fellowship around the table and many new faces. The next Family Fun Night will be in May. The “Hats and Blankets” ministry of the Chapel has been very busy over the last few months. The work of many hands has enabled us to make deliveries to Lewistown Hospital and Evangelical Hospital in Lewisburg. Each box contained 21 hats of various colors and sizes and 2-3 blankets which will be given to the new-borns to take home. The ministry has been very blessed with busy hands and have a number of hats and blankets ready for another delivery to be made to Geisinger Hospital. Anyone interested in joining in this knitting and crocheting ministry may contact Mka. Brenda at (570) 765- 2202 or info@holyspirit-oca.org. On Sunday, July 10, the Chapel of the Holy Spirit hosted its annual picnic, but this year with a twist: The event was held on the church lot. A tent was put up, and the Chapel community personally invited those living immediately around the church to attend. All in all, more than 20 people gathered to enjoy a simple time of fellowship. 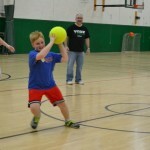 It was a special joy for the faithful to have those who have frequent the Chapel’s quarterly Family Fun Fights at the Middlecreek Area Community Center join the group, as well as some from Holy Trinity. Overall, it was a gorgeous day and the food was definitely a bonus! Things were quite busy in the life of the Chapel this past month. First and foremost was the ordination to the Holy Priesthood of Deacon David Smith Pentecost weekend (June 18), by His Eminence, Archbishop Melchizedek. To say that the chapel was packed is putting it mildly. Nearly 100 souls attended and the line for Holy Communion extended through the narthex onto the porch. Concelebrating clergy were Fr. John Reeves of our mother church in State College, Fr. Mark Meholick, DuBois and Dean of the Eastern Deanery; Fr. Daniel Kovalak, Williamsport; and Fr. James Chuta, Lewisburg; as well as Deacons Alexander Cadman and Mark Oleynik. Father David’s ordination was the first Hierarchical Divine Liturgy celebrated at the Chapel. And now because of his ordination, the Chapel’s faithful, many of whom live more than an hour away from the next-nearest Orthodox church, will be able to attend the Divine Liturgy each Sunday. After the ordination, nearly all who attended the service packed the Beavertown Fire Hall for a delicious banquet in celebration. The Chapel presented Fr. David with his priest’s cross while parishioners from Holy Trinity gifted Father with his first set of vestments. (In fact, donors were so generous that he will be able to purchase a second set, too). An additional offering was also taken that day as well. Funds raised were designated for Fr. David’s discretionary fund, a total of $500. Many thanks to all who prayed, gave, and attended to make this day possible, especially the Choir and the Men’s Chorus who sang the responses. 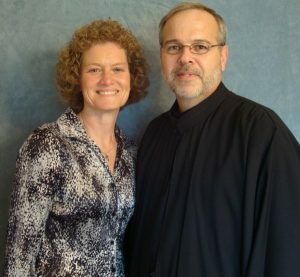 Deacon David and Matushka Brenda Smith. By the Grace of God, Dn. David Smith will be ordained to Holy Priesthood by His Eminence Archbishop Melchisedek the week-end of Pentecost—the patronal feast of both Holy Trinity and its mission outreach, the Chapel of the Holy Spirit. Providentially and fittingly, the event will take place at the Chapel (145 North Kern Street, in Beavertown) where Dn. David has faithfully served as co-founder and administrator for several years. It will occur during the Saturday, June 18 Memorial Lit-urgy at 9 a.m., with a celebratory reception to follow at the Beavertown Firehall on 222 South Sassafras Street. Reservations are required for the meal only by calling (814) 231-2855 or emailing ordination@holyspirit-oca.org. There is no charge to attend the formal reception, but a freewill offering is being collected in honor of Deacon David and Mka. Brenda for the Chapel of the Holy Spirit Fund. Your generous gifts memoed “Smith Ordination” will help the Chapel and their newly ordained priest continue their ministry to the people of the central Susquehanna Valley. Thank you. Before being received into Orthodoxy, Dn. David served as a Lutheran pastor for 20 years. He helped to establish the Chapel in 2008, and hosted services in his home while the community prepared to build its new temple. To further the Chapel’s apostolic work, he was ordained to the diaconate on the Feast of Ss. Peter and Paul (June 29) in 2013. Father’s first full liturgy as priest will be Pentecost at Holy Trinity (June 19, 10 a.m.). He will also serve the Holy Spirit Day (June 20, 9 a.m.) and Nativity of St. John liturgies (June 24, 8 a.m.) here at Holy Trinity before commencing weekly Sunday services at the Chapel. The women of the Chapel of the Holy Spirit will be starting a new outreach of crafting hats and blankets for babies. It will be a time of getting together, not only for fellowship, but to crochet or knit hats and sew or tie blankets for newborns at the local hospitals. We will be opening our doors to all in our community to participate in this ministry to introduce others to us and our church. The first meeting will be Monday, May 23 at 6:30 p.m.
We have been blessed to have been given two large bags of yarn for our crocheting needs but are seeking donations of material for blankets. If you would like to donate any of these items, please contact Matushka Brenda at (570) 765-2202 or brenda.smith0826@gmail.com. 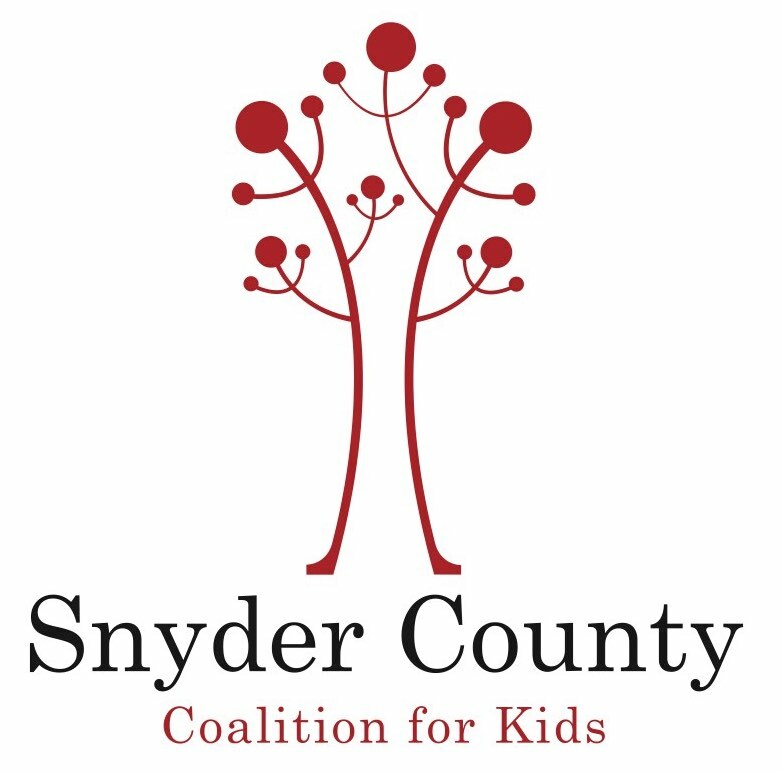 Meals for Mustangs is a program sponsored by the Snyder County Coalition for Kids. 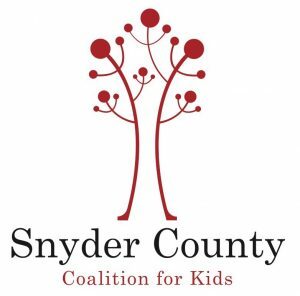 Under this program the Midd-West School District provides bags of food for approximately 30 elementary children every Friday so that they will have some food for the weekend. The school highly depends upon donations. As an almsgiving project during Lent, parishioners of the Chapel of the Holy Spirit will be collecting non-perishable items such as individual soups, peanut butter and cheese crackers, individual peanut butter packages, and individual Jell-O and puddings. Items should be collected and brought to the church by April 20.